Happy April Fools' Day! Let's celebrate by gettin' stupid! A couple weeks ago, I asked readers to write some nonsense poetry. Here are the poems for all to enjoy. I've read through them and have provided feedback below the entries. I've also written my own poem for readers to consider. I encourage discussion of the poems in the comments below. Let us know what you think. What did you like? Dislike? 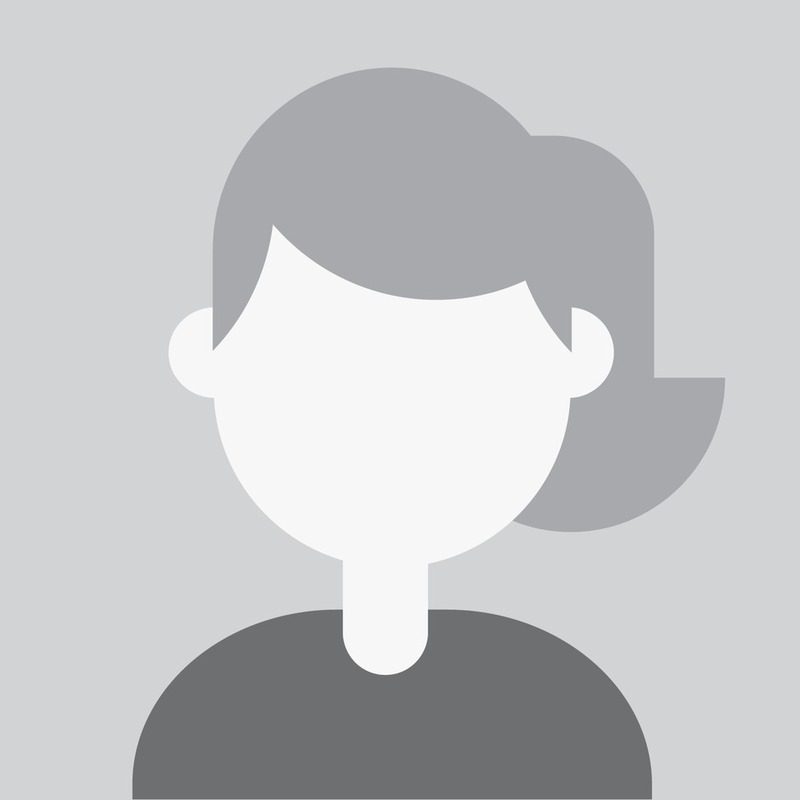 Do you have suggestions to make them better? Please let us know! 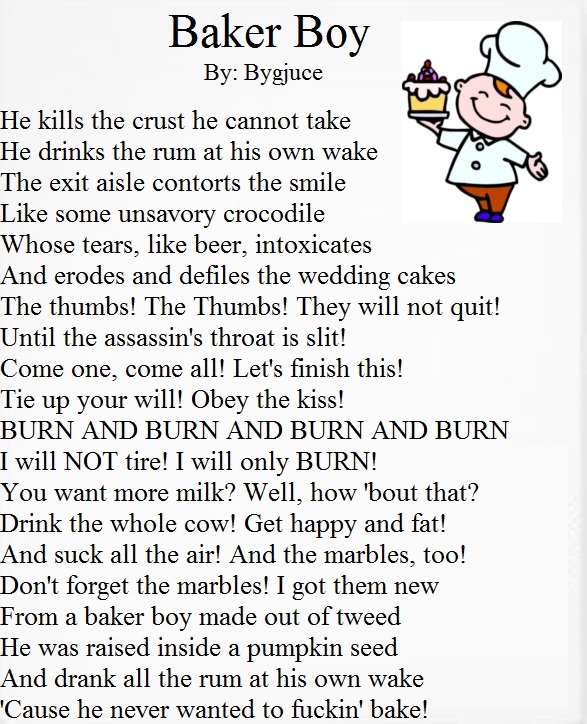 - I like the rhyme scheme! - You abandon your established rhyme scheme during the last two lines. I wish you would have stuck with it and gave us a really funny, witty end. - The premise is ridiculous. Great job! - What in the... I don't even... In other words, well done! - Your rhyme scheme wasn't consistent (though, this may be a moot point, considering you were going for "nonsense"). You have some couplets, some A-B-A-B, some internal rhyme, and then some lines that just died and didn't have another line to rhyme with (though, admittedly, I could have been mispronounced some of your made-up words). 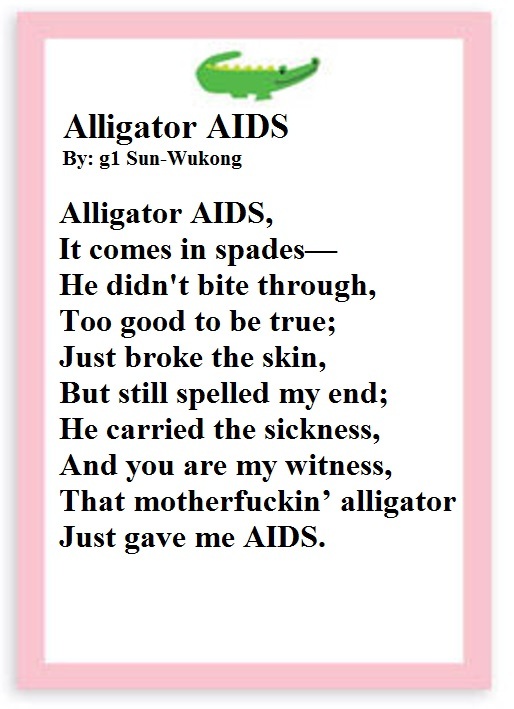 I think this poem would benefit from a more consistent rhyme scheme. - Sounds like there's a story here, but I couldn't follow it with all the made-up words. 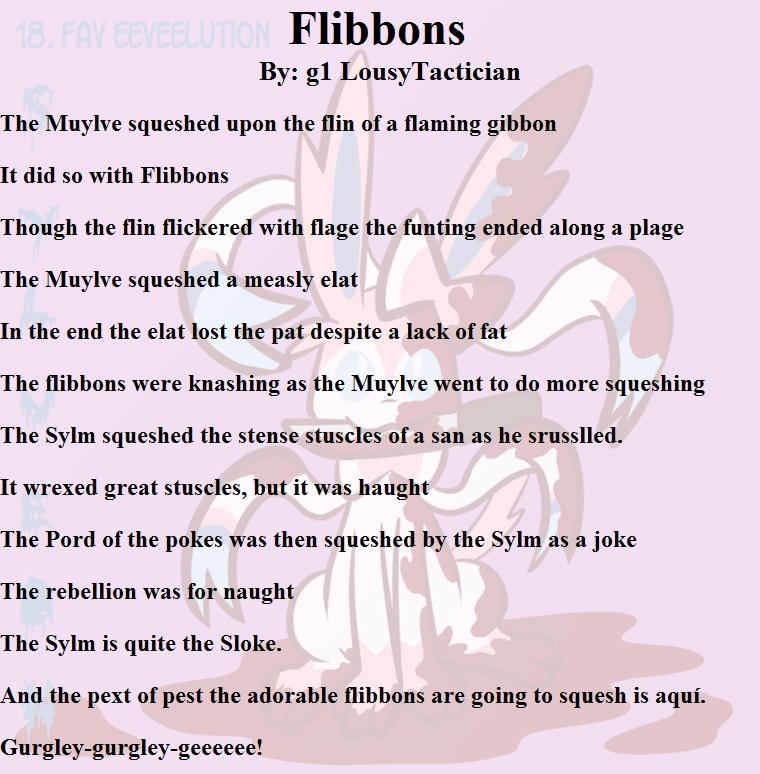 I take it that the Muylve and the Flibbons are the characters, they had a fight, and the Flibbons came out on top? It's tricky, but you'll have to find a balance between sense and nonsense in order for a narrative to present itself more clearly. - There are a lot of made-up words here, which is really cool! Are they portmanteaus? Or did you make them just for their sounds? I'd like to thank the entrants for participating, and I encourage readers to discuss the poems in the comments below. Let us know what you think. What did you like? Dislike? Do you have suggestions to make them better? Please let us know! I'll see you guys in a few more weeks with another poetry challenge!